Maybe all you really need to power your multi-room system is a smartly automated amp like the Russound P125. Today's networked audio players, music streaming services, and remote control apps for smartphones and tablets have radically changed the way we experience music at home. You still need good clean power to drive your speakers, but you probably don't need a traditional receiver with a lot of buttons to push. Maybe all you really need is a smartly automated amp like the Russound P125. Say you have a network audio player, such as a Sonos CONNECT connected to the primary input. Any time you fire up the CONNECT, your P125 turns itself on and feeds the music to your speakers. Because the P125 has two sets of speaker outputs, you could be listening in the den, the kitchen or wherever you chose to install your speakers. Because you control the CONNECT with a wireless controller or smartphone app, it doesn't matter where you put it. The CONNECT and the P125 could be out of sight in a utility closet or cabinet. You might connect an old-school music source like a CD player to the secondary input, and enjoy it whenever you're not using your CONNECT. When a CD stops playing, the P125 will automatically switch to standby mode. It should. Mine powers four towers hooked (with other external powered amplifiers, in a daisy chain) from an Onkyo intergrated amp. Dual Source Power Amplifier: The Russound P125 is a two-channel, dual source power amplifier with auto-source switching. 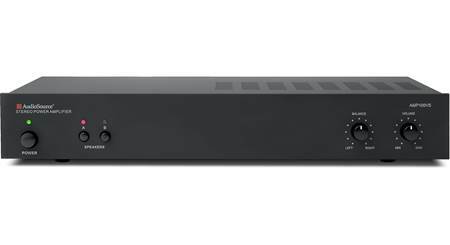 It features Primary and Secondary audio line inputs with a loop out to another zone, receiver, or device from the secondary source. A speaker-level input can be connected and assigned as either the primary or secondary source. 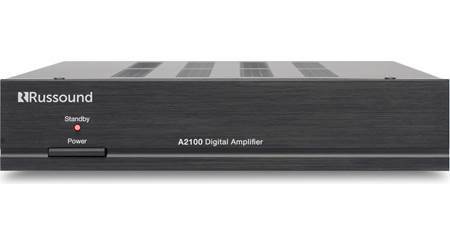 This amplifier can be used for power upgrades in zones for large speaker selector or volume control systems. 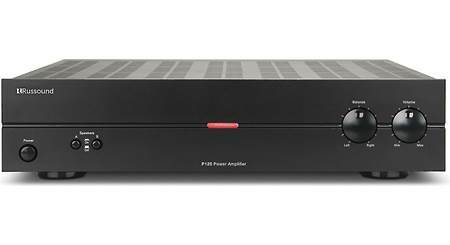 Stereo or Bridged Amplification: The P125 is rated at 125 watts per channel into 4-ohms, and 80 watts into 8-ohms. With the Stereo/Bridge Mono switch in the Bridge Mono position, both amplifier channels are combined for a higher powered mono output. In Bridge mode the P125 is rated at 250 watts of power into a single 8-ohm load. Dual Source w/ Auto-Switching: The P125 has dual source capability. If two sources are used, connect the source you want to take temporary priority to the Primary input and the other constant source to the Secondary input. Whenever the primary source becomes active, that signal will take priority over the distributed audio signal on the secondary line. 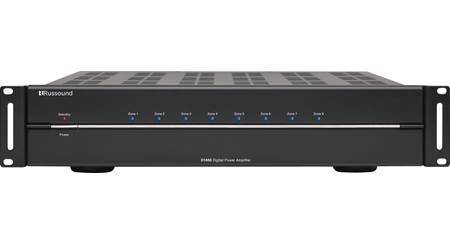 The signal is still active on the secondary line but will not be heard, and once the primary audio signal is muted or turned off the amplifier will automatically switch back to the secondary audio signal. You can adjust the delay time(3s-15s) to determine the length of time it takes to switch back to the secondary signal. Front-Panel & Rear-Panel Controls: On the front-panel of the P125 are Power, Speaker A/B, Volume, and Tone controls. On the rear-panel are Stereo/Bridge, and Auto/Trigger/Normal controls. Power On/Off +Auto On: The P125 amplifier can be turned on manually or automatically by setting a switch on the back panel. For manual power on or off , press the Power button on the front-panel. For automatic power on, set the switch to Auto On, and place the front-panel power button in the "On" position. When music is sensed on either input RCA connector, the amplifier's signal sensing sends a command for it to power on. Once the signal ends, the amplifier turns off in approximately 4 minutes. To turn the amplifier on remotely, set the switch to Trigger and connect a 3.5mm minijack cable from the device to the 12V Trigger In on the amplifier. Volume, Level, & Tone Controls: You can adjust the speaker output volume, as well as adjust speaker output balance between right and left channels. You can also adjust the the level of the right and left channels independently. 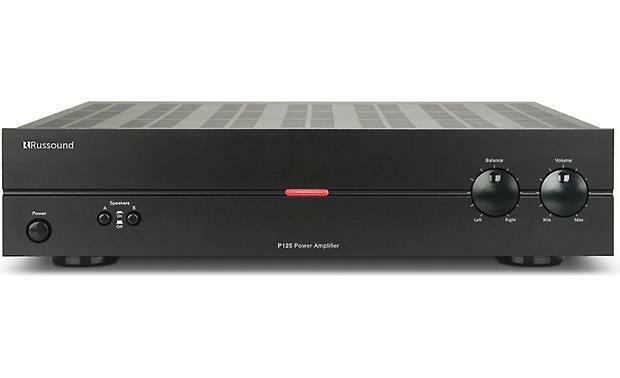 Stereo RCA Inputs/Outputs: The Russound P125 amplifier features two stereo analog RCA inputs (Line 1/Line 2) to connect up to two analog audio devices. There is also a stereo analog RCA output to send the amplifier's Line 2 input to another zone amplifier. Binding Post Speaker Terminals: The P125 amplifier is fitted with eight binding post speaker terminals and can accommodate up to two pair of speakers. You can power "A" speaker only, "B" speaker only, or both "A & B" speakers. When driving a single pair of speakers the amplifier can handle 4-ohm speakers in Stereo mode, or a single 8-ohm speaker in Mono mode. When driving both "A & B" speakers the amplifier can handle a minimum of 8-ohm speakers. The binding post terminals will accept bare wire (16-12AWG), pin-connectors, and banana plugs (single or dual). Speaker Level Inputs: If you have a source that is only available as a speaker level signal, connect it to the Speaker Level Input terminals, using the binding post terminals and observing proper polarity. Only one set of speaker level inputs can be utilized and assigned by the selector switch. When using the Speaker Level Input, and it is switched to the Secondary position, the high-level signal will not pass to the Secondary Line RCA output. 12V Trigger Input/Output: The 12V Trigger In/Out allows the amplifier to be activated by other devices or to activate other electronics via a 3.5mm minijack cable, with 100mA current capability. 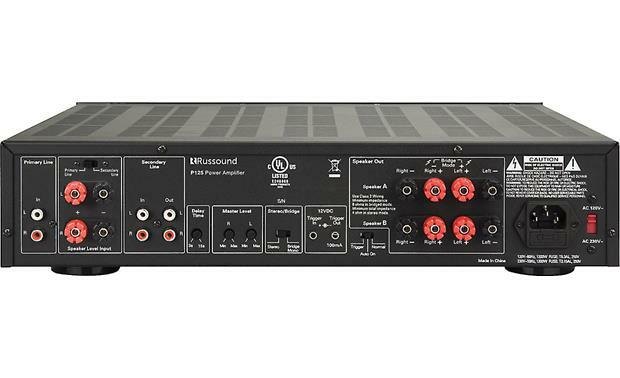 Protection Circuitry: The Russound P125 dual source power amplifier employs protection circuitry to safeguard against short circuits and over-heating. Thermal Protection: The P125 amplifier is designed with special circuitry to safeguard the amplifier under a thermal overload condition. Thermal protection mode will only engage when the unit has been run at high volume for extended periods of time without adequate ventilation and/or when speaker impedances are below the minimum levels for the amplifier. In thermal protection mode the amplifier will automatically stop output. If this fault condition occurs, turn off the amplifier. It is a stereo amp. No center channel. is there a certain surge protectors i should buy for this amplifier? Searches related to the Russound P125 Stereo dual-source power amplifier, 80 watts x 2.